I was introduced to paper cutter, Rachel Weber [edit: Etsy shop has closed] when she was a guest on Martha Stewart's show this past winter. 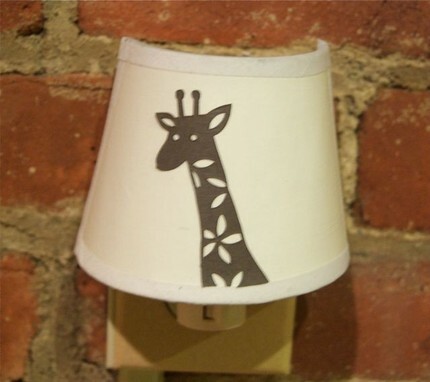 Rachel demonstrated how to make one of her sweet and clever nightlights. Is that one monkey... ...or two?! 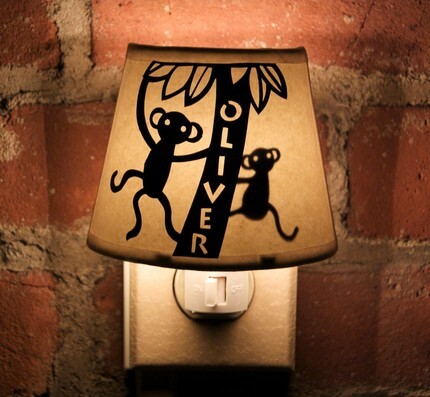 The design is magically transformed when the light is flicked on in the evening. 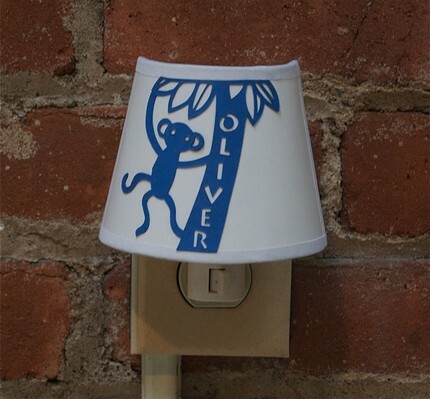 Free templates and instructions to make a little bird or koala paper cut night light are available at Martha's site - lovely! 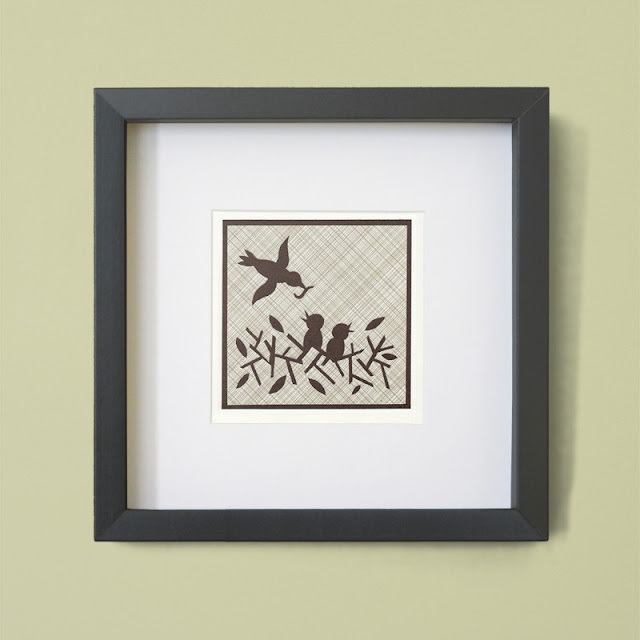 Rachel began to experiment with paper cutting as a way to make adorable wall decor for her children's rooms. 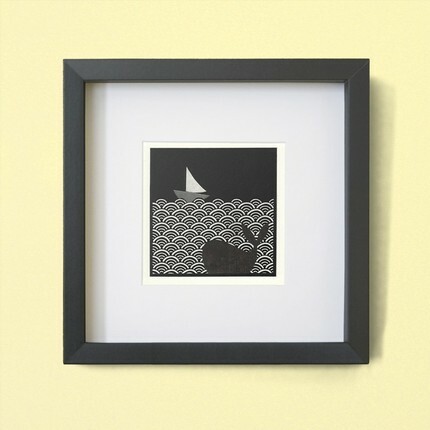 Soon she set up her Fog and Thistle website and Etsy shop [edit: both are no longer available] to sell shadowboxes and framed prints of playful designs... and then added the nightlight line. 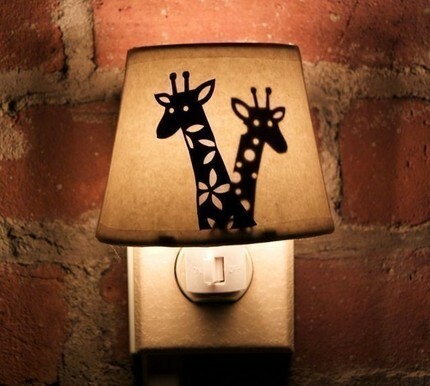 She also offers complete make-your-own nightlight kits in a variety of designs. Rachel says she's well-suited to paper cutting because of its finality. I like how she expresses it... "Brush strokes can be altered and pencil marks erased, but cutting paper permanently alters the medium. I find this process comforting and zen-like - a stark contrast to my earlier days as a frustrated, revision-prone painter." 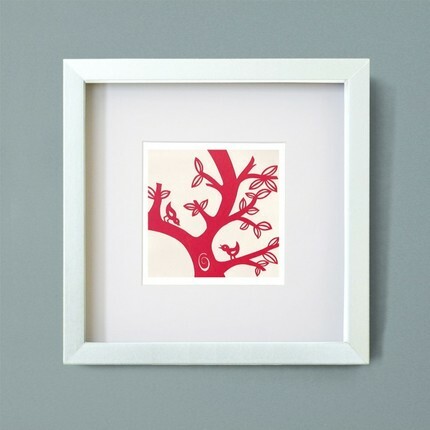 PDF templates for wall art, such as Feed the Bird, are also available via the Fog and Thistle shop. Print out the template as many times as you like... after a bit of practice, you could be making beautiful gifts for friends and family. Thanks so much for featuring my work Ann. I love your blog and am honored to be on it! I'm such a huge fan of papercuts. Love Fog and Thistle's work! Thank you for the introduction to this talented woman! Love the night lights! And that she makes them available in a kit form. 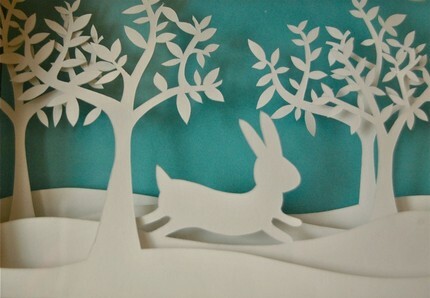 And that bunny shadowbox - a delight! Rachel is so creative and talented--she gave the Martha Crafts department a run for their money! Thank you for telling me about Rachel's work. It is adorable!